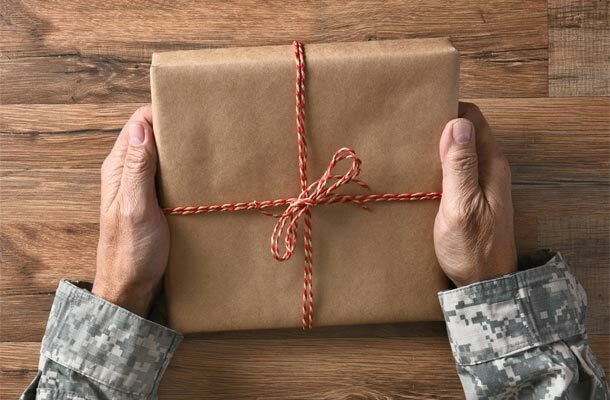 Send a book to a deployed serviceperson through Operation Paperback. Operation Paperback collects and distributes gently-used books to troops overseas, as well as veterans and military families here at home. Since 1999, over 1.9 million books have been sent to readers around the globe. Donate or receive books. Make (or request) a quilt for a service member through Quilts of Valor. Since 2003, volunteer quilters have provided comfort to service members and veterans touched by war. This grassroots community service organization has connected the home front with over 127,000 warriors and veterans through quilts made with care. Learn more. Counselors, donate your services through Give an Hour™. Give an Hour™ offers help and hope by providing free mental health services to U.S. military personnel and family members affected by current conflicts in Iraq and Afghanistan. Give or get help. Care for a service member’s pet while he or she is deployed through Dogs on Deployment. This nationwide network provides volunteer care for dogs and cats of deployed military members and those temporarily unable to care for their pets because of service commitments. Read about it here. Donate frequent flier miles to a serviceperson on emergency leave through Fisher House Hero Miles. Thanks to the generosity of American air travelers, in the last 10 years more than 58,000 tickets worth nearly $88 million have been provided to wounded, injured, and ill service members and their families. Donate miles.